Oh my. What is this craziness? It took a little bit of planning but it's a color-blocked baseball-style raglan sweater that I'm knitting for the 30 Day Sweater Challenge. Read more about it on my guest post today on the Ewe Ewe knitting blog. 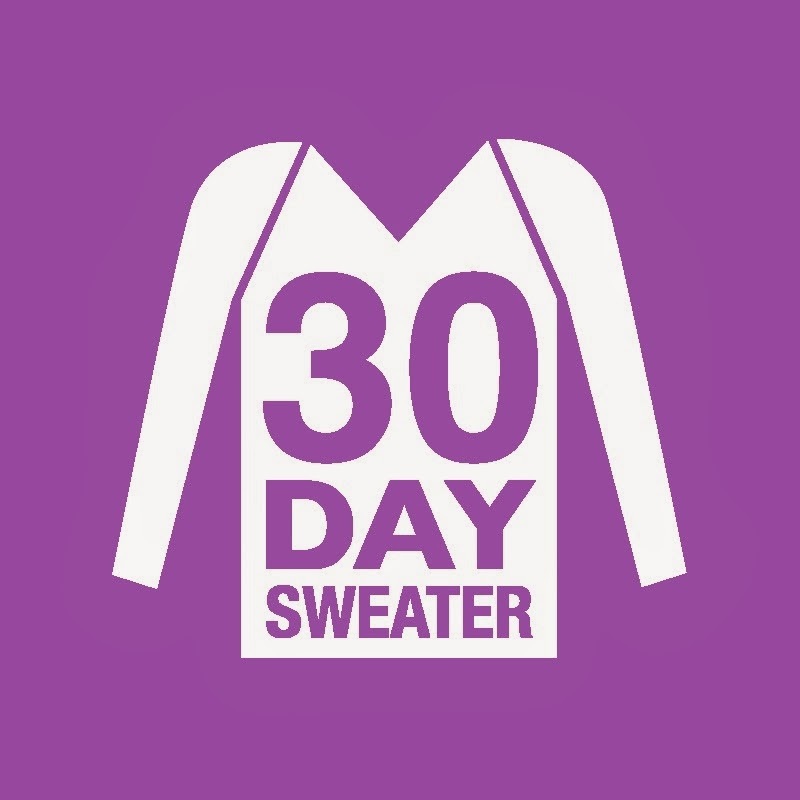 If you want to get in on the action and knit your own sweater, visit 30daysweater.com to download your free sweater planning guide. 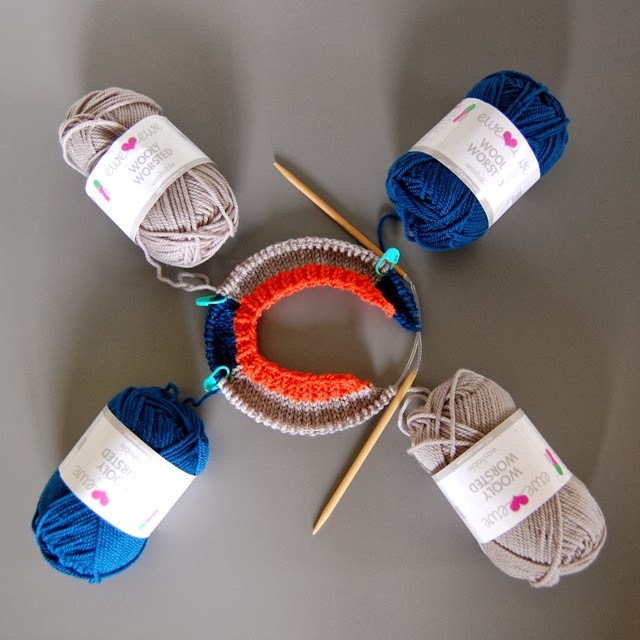 And visit NobleKnits.com during the the month of October to get 15% off of Ewe Ewe Wooly Worsted yarn! 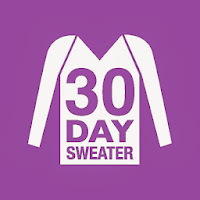 Use the code: 30DAYSWEATER at checkout. Let's get knitting. That looks AWESOME and I kind of want one in my size.